The Porsche 918 Spyder is setting new standards. But how is the super sports car built? Insights into the manufactory. Porsche is pioneering a new methodology with its 4000-square-metre manufactory in which 100 selected employees assemble the vehicles by hand. The unique manufactory is located at the heart of Plant 2 in Stuttgart-Zuffenhausen, the nucleus of Porsche's operations and the production site of the iconic 911 sports car for 50 years now. The 918 Spyder is like the 911 a big seller. Within about one year the 918 units of the Porsche 918 Spyder were sold. The plug-in-hybrid sports car will be produced till the middle of 2015. A good four years ago, Michael Drolshagen was given the responsibility of designing and building a manufactory for the Porsche 918 Spyder as its intended Director of Production. Drolshagen began by sitting down with a few of his Porsche colleagues to consider the key question: "What features actually define a manufactory?" The responses they came up with varied widely: While for some it was "the smell of leather" or "a certain narrowness of space", the 43-year-old industrial engineer very quickly hit upon the image of a watchmaker working in cleanroom-like conditions using a monocle and tweezers to complete his precise craft. 24 months later, the manufactory was settled in its central location at Plant 2 in Zuffenhausen. Anyone who sets foot in the former paint shop for series-production sports cars on the second floor will realize immediately that the project team has created a space that comes very close to the original idea proposed by the Spyder Director of Production. Focused and perfectly silent, the Porsche specialists work at pioneering ergonomic workstations to create a high-end sports car. 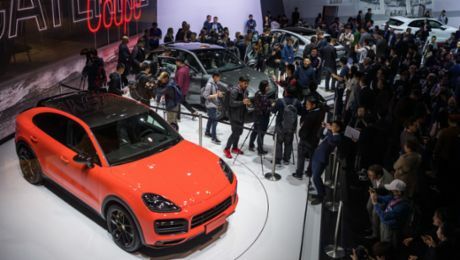 The room feels light and friendly and is dominated by coloured features in grey (floor), white (walls and ceilings) and acid green – the recurring colour that Porsche has specified for all vehicles featuring an electric hybrid drive. Everywhere is neat and tidy. No cables spill over into the pathways between the workstations. This is also because the aim from the outset was to rely exclusively on cordless tools for the construction of plug-in-hybrid sports cars. The Bluetooth-controlled cordless screwdrivers are an example of this philosophy in action: These tools are virtually silent, they offer technicians flexibility at the workstation and they reduce the risk of damage to components. Coupling the screwdrivers with the database also ensures that the stored torque values are reliably complied with and can be documented and checked at any time. The uncompromising approach to quality management embodied by the process of checking and documenting torque values also explains the decision to locate the Spyder production line at the Zuffenhausen plant. It goes without saying that the plant also offers an emotive connection, given its links with the origin of the 911 legend, Porsche's racing history and the very special Porsche DNA. However, even more important was the manufactory's ability, as a production location for a small-series supercar, to link up with the so-called series production "pearl chain"; doing so would allow the range of facilities as well as the comprehensive field testing expertise to be utilized during the final assembly process. 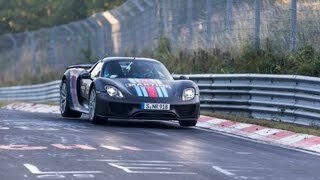 In addition to its infrastructure, the Zuffenhausen plant offers another crucial benefit for the 918 manufactory: the employees. Around 3,500 people work on vehicle assembly at the plant and nowhere else would it have been possible to rely on a pool of such highly qualified specialists from the development, vehicle equipment, body assembly, paint finishing, assembly and drive unit fields. Women and men from around 14 different countries were eventually assigned the coveted spots on the Spyder 918 production line. The ages in the team range from 21 to 56 years, with professional experience of between 6 and 40 years. The members of the team all come from the 911 production line, and many of them have already worked on the production of motorsport vehicles or prototype production. With all their expertise and passion, this varied team is what will guarantee that exactly 918 units of the Porsche 918 Spyder will have left the manufactory in the best possible quality in the the middle of 2015. 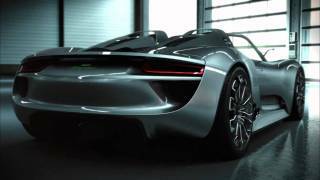 The Porsche 918 Spyder is setting new standards. Insights into the manufactory. Dr Frank-Steffen Walliser takes over as the new Vice President of Motorsport.